Do you struggle to get meals on the table every night? Do you wish you had more time to enjoy the evening while still having a nutritious meal on the table at dinnertime? I’ll show you how to do it, give you the tools you need and offer you the ability to be accountable in a group! Ready to get started? I’ll show you how to create a clean eating menu plan and I’ll help you find the best clean eating recipes! Menu planning can sound daunting, but once you get in the groove you’ll find that it’s easy to meal plan and it actually makes your week easier and makes dinnertime effortless. By planning your meals for the week ahead of time you’ll save time, money and likely eat healthier in the end. By menu planning, you will take about 20 minutes to plan your weekly meals and you’ll save tons of time trying to figure out what to make for dinner each night. Menu planning saves a TON of money. You will no longer be buying random groceries at the grocery store that you don’t use and end up tossing out. You will only buy the food you actually plan to use that week. You will also save money by avoiding eating out or ordering takeout. I know that I personally default to pizza or eating out when I don’t know what to make for dinner or don’t have ingredients on hand to make a good meal. By creating a clean eating menu plan your meals ahead of time you can ensure you have healthy meals planned and have the ingredients on hand to make them. Whenever I don’t plan ahead we end up eating convenience food like pizza or nuggets and that just isn’t a wholesome meal. I try to make clean eating recipes which means I use wholesome ingredients that are as close to their natural state as possible. This means avoiding processed foods and making homemade, healthy meals. That doesn’t mean it has to be hard though! 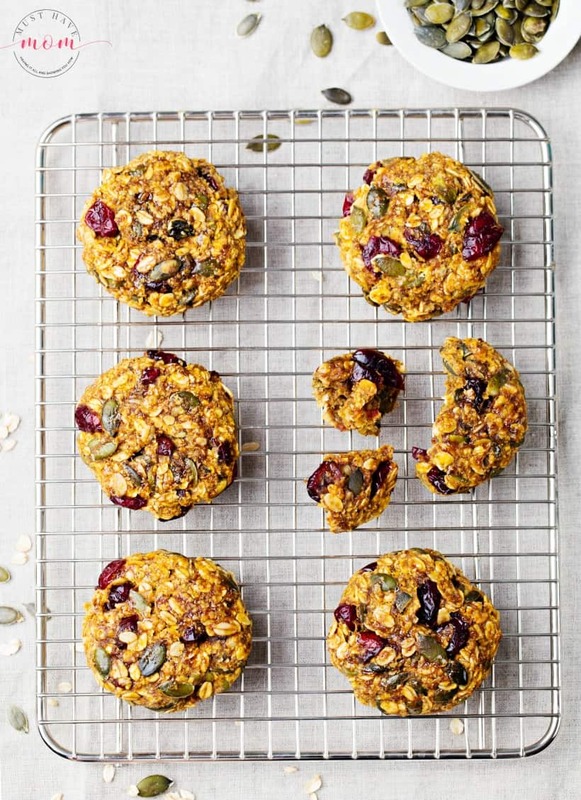 I’ve got lots of clean eating recipes that are quick and easy and kid-pleasing too. To create a clean eating menu plan, you’ll want to pick a day that is best for you to plan ahead a week of meals. I typically do this on Sunday so I am ready for the week ahead. You can choose the day that works best with your personal schedule though. I then choose 7 clean eating recipes, one for each night of the upcoming week. You can choose to just plan dinner or also plan for breakfast, lunch and snacks. This will depend on many factors including if you are at home during the day, if your spouse or kids eat lunch at work/school and if you are planning make ahead lunches for taking on the go. I choose to plan dinner for each night of the week and I’ll also include a few breakfast, lunch and snack ideas for when our family is at home. One thing I find very helpful is this free printable meal planner. 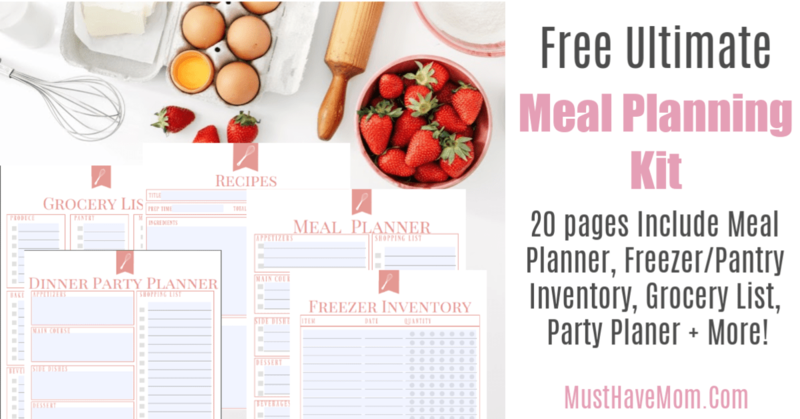 It includes a weekly meal plan, grocery list, freezer and pantry inventory, dinner party planner and lots more! 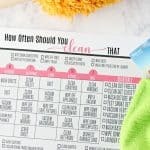 Grab your free printable meal planner and get organized! I also have this chalkboard magnetic menu on the front of my fridge where I write out the weekly meal plan so the whole family can see what’s on the menu each week. They love knowing what to expect and it serves as a great reminder for me to thaw meat or prep any necessary ingredients ahead of time. 80/20 Rule: Adopt an 80/20 rule. It’s really, really hard to follow a diet all of the time. There needs to be room for cheat meals, holidays and parties or you won’t stick to it. I did follow a strict diet for over six months while getting healthy but now that I am in good health I’ve been able to adopt eating clean 80% of the time and allowing cheats and treats 20% of the time. Limit Gluten: We don’t limit whole grains in our diet but we do try to limit gluten as it can be very inflammatory to many people. We have found that brown rice pasta tastes just as good as gluten-containing pasta and we use that 100% of the time. I do serve bread at some meals during the week and my kids love it. For myself, I try to avoid eating the bread. Trader Joes sells an awesome gluten free white bread for when I’m craving it though! Limit Dairy: Dairy is naturally inflammatory and Americans eat far too much of it. We have switched to almond milk and rice milk instead of cow’s milk and can use that for any recipe that calls for milk. We limit cheese and have found a great non-dairy parmesan cheese that we use. We do use butter and love grass-fed Kerrygold butter. We avoid yogurt, sour cream and other dairy as much as possible. They do make an almond milk yogurt if you need to use yogurt in a recipe. Limit Sugar and Use Natural Sweeteners Only: The American diet has SO. MUCH. SUGAR! It’s insane! You probably don’t even realize how much sugar you are consuming in a day. It’s in everything from pasta sauce to bread to yogurt and there’s a lot of it. Avoid sugar as much as possible and when you do consume it, stick to natural sweeteners only. Things like cane sugar (not beet sugar), honey, maple syrup and stevia are great natural sweeteners. Don’t use any artificial sweeteners as they are neurotoxic and terrible for you. Don’t Be Afraid Of Fats: Americans love fat-free foods but most fat free foods contain artificial chemicals to take the place of fat. Avoid all processed foods and fat-free foods. Healthy fats like avocado, olive oil and others are actually good for you! Your body needs healthy fats in order to thrive and survive. It’s a lie that fat is bad for you. Avoid GMO’s: If you haven’t ever researched genetically modified organisms (GMO’s), then I encourage you to do your own research. I have researched it extensively and choose to avoid them as GMO’s are organisms that have had pesticides inserted into the DNA of the plant and I’m just not a fan of eating pesticides. 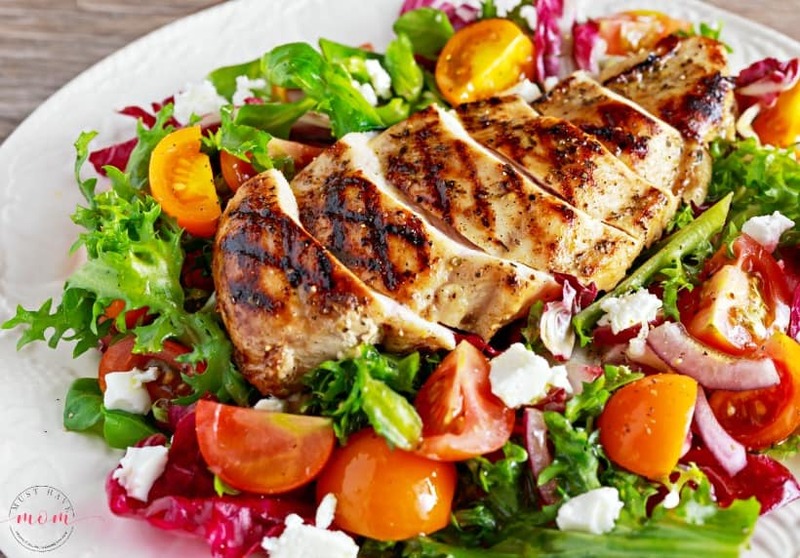 Eat Grass-Fed Beef and Organic Chicken: It’s important to choose clean meats. By from a local farmer or find organic and grass-fed meats at your local grocer. By choosing grass-fed beef you are avoiding the corn finished beef that contains GMO’s. Chickens are also fed GMO feed so by buying organic you can avoid GMO chicken. Only Eat Food With Ingredients You Can Pronounce: We try to avoid processed foods altogether and when we do buy them we read labels. If there are ingredients that you can’t pronounce and don’t know what they are then don’t eat it. Eating clean is really that simple. Want more tips on clean eating? You’ll find a few more and another viewpoint in this 7 tips for clean eating article from Eating Well. Are you feeling overwhelmed by planning your weekly clean eating menu plan or finding clean eating recipes? Don’t worry! I’ve been doing this for a long time and I’m here to help. Join the clean eating menu plan challenge and we’ll tackle 30 days of clean eating recipes that the whole family will love. You’ll receive 4 weeks of clean eating menu plans delivered to your inbox each Saturday so you can plan for the upcoming week. I’ll include the grocery lists and recipes that are tried and true which my own family has approved of. I only include the BEST recipes so expect some awesome new recipes to try. Want to join in? 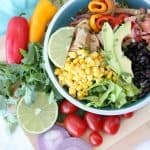 Sign up for the 30 day clean eating menu plan challenge and you’ll be on your way to 4 weeks of clean eating recipes and delicious dinners on the table each night. 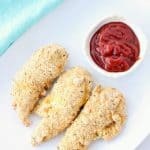 Last year I shared a year of weekly meal planning recipes with you. This year will be a little different because I’ll be focusing on only sharing clean eating recipes and I’ll deliver them to your inbox along with a grocery list and tips. This year will be even better! Look for paleo recipes, clean eating recipes, low sugar, limited dairy and no processed ingredients. I also plan to include some Instant Pot recipes and slow cooker recipes as well! This would be so useful. Thanks for sharing!